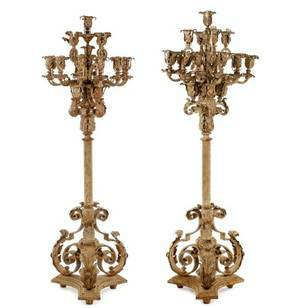 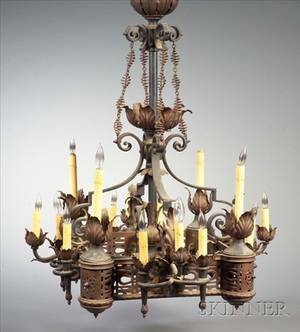 Iron chandelier of cylindrical form with scrolled and foliate detail with 4 lights contained within. 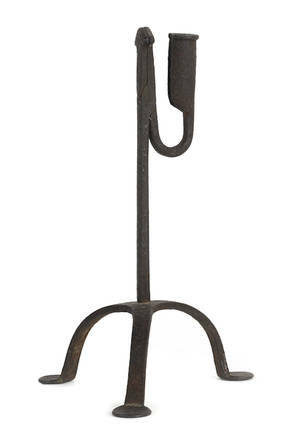 Measures 44 inches high x 22 inches in diameter. 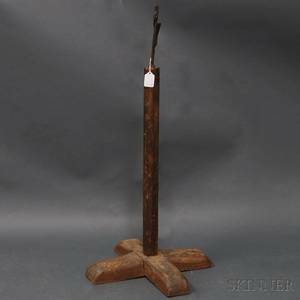 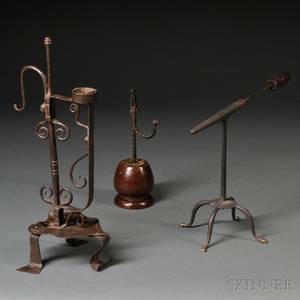 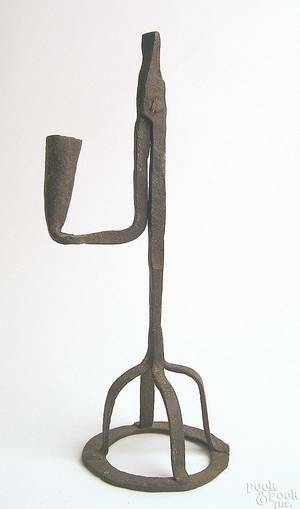 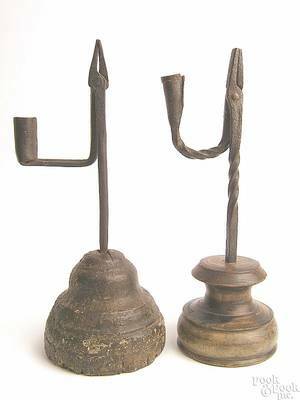 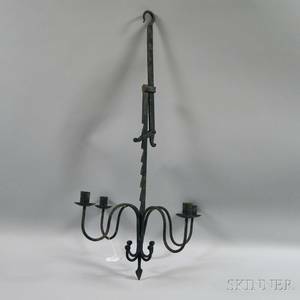 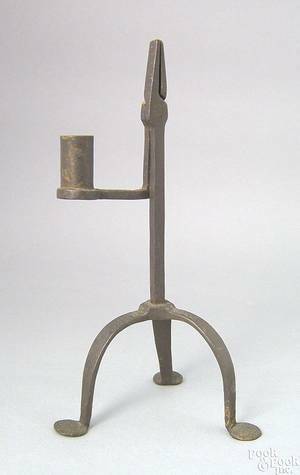 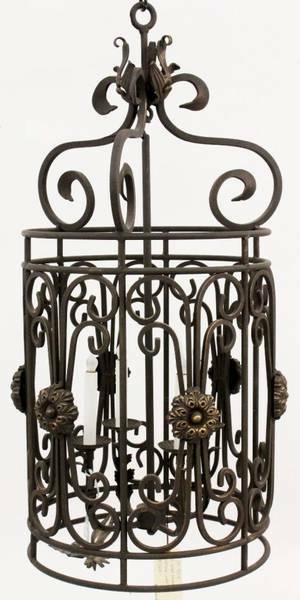 Wrought iron rush light, 18th c.
Forged iron rush light, early 19th c.
English or Irish wrought iron rush light, late 17th c.